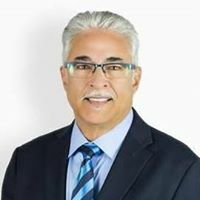 A member of the San Diego real estate community, since 2001, David DaCosta prides himself on being involved in the local community. He is the former owner of Jamroc 101, an Encinitas Restaurant. David has also served on the Board of Directors for both the Encinitas and Carlsbad Chambers of Commerce. Living and working in San Diego for over 35 years has given him a great network of connections throughout the county, which helps him put his clients in contact with just the right people, no matter what their need. His entire career has been built around his three core concepts: service, connections, and trust. David does his utmost to get his clients results, while remaining service-oriented, ethical, and a person they can trust, over and over again. Before entering the real estate industry, he worked in business development and financial services for Fortune 500 Companies. As a real estate agent, his strong people skills, talent for negotiations, and listening ability make him a great asset for anyone who is looking to buy or sell. David is a natural leader who is great at keeping all parties happy and achieving everyone’s goals, while keeping things light and fun. No problem, mon! A native of Kingston, Jamaica, David loves the beautiful San Diego beaches, yoga, and gardening. He lives locally with his family.